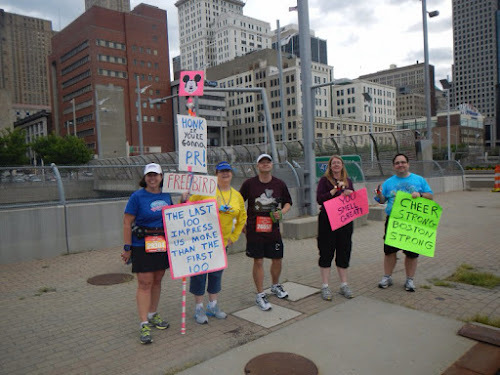 In our last post we covered the Flying Pig Marathon race held on Sunday of Flying Pig Weekend. 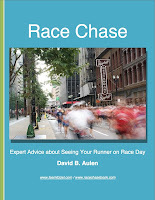 Saturday of that weekend hosted separate 10K and 5K races. 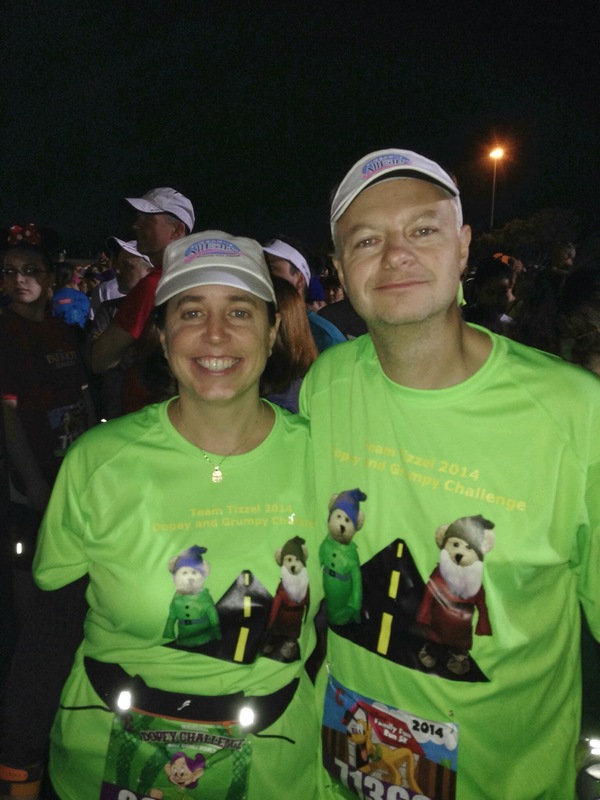 We both participated in the 10K race while Holly added on the 5K. Dave gives his report on the 10K below. We left our hotel and headed a few blocks down and over toward the river and the Cincinnati Red's ballpark. Cincinnati seems to be set up a lot like St. Louis where they put all their tourist attractions in one place. Nearby was the football stadium, sports arena, and Underground Railroad Museum (take note it's not about subways). Looked like around 4,000 participants were out for this race. My plan was to take it easy and play around with the GoPro. I did not plan on my heart monitor not working so this meant I'd be going slower than usual. I kept pace with Holly and Michael for a bit, but then on occasion they had to wait for me on a bridge. And by on a bridge I mean Michael standing on the rail with Holly yelling at him to get down. The first part of the course took us to Kentucky. We crossed the first bridge with the city over our right shoulders. We had a view of some riverboats docked below on one side and the aquarium on the other. Given the businesses we were seeing by the aquarium it looked like Kentucky was Cincinnati's entertainment district. There were themed bars and comedy clubs. 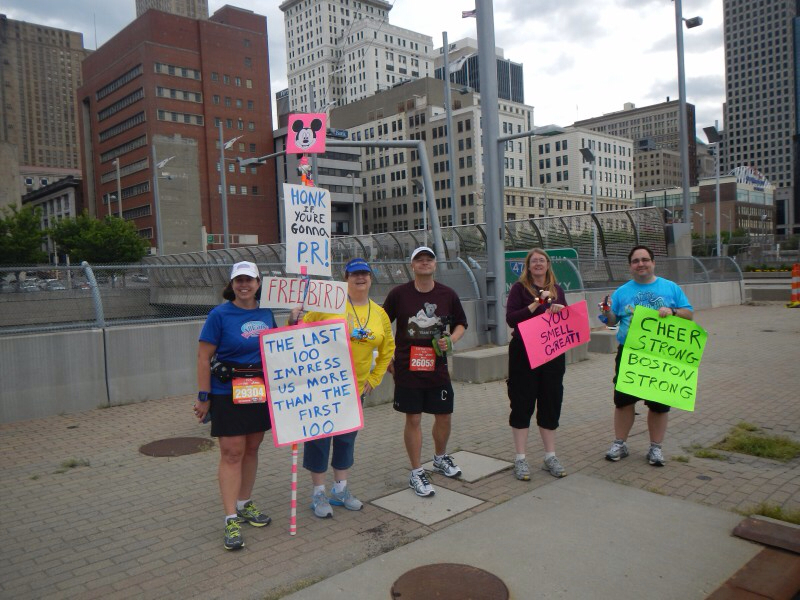 The course had us rounding the back-end of the mall area and took us along the riverbank. After that, we hit a sketchy no-man's-land area and the second bridge of the day. Next, we went through a small downtown in order to get to an even skeezier part of town. 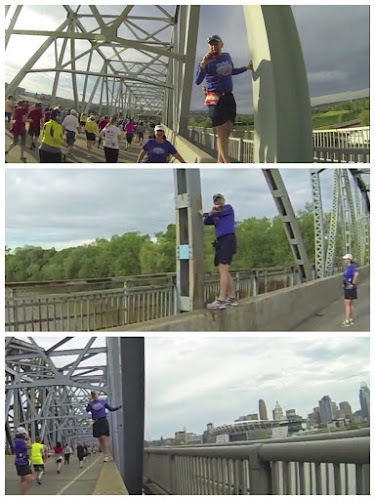 We then headed over the third bridge and had the Cincy skyline view on our right-hand side. We ran into some of our friends out of the course spectating and stopped for photos. A little later our friend Eddie completed the back-half of the course with us for a second time. He finished 22nd overall in the 10K and wanted to do a portion with us. 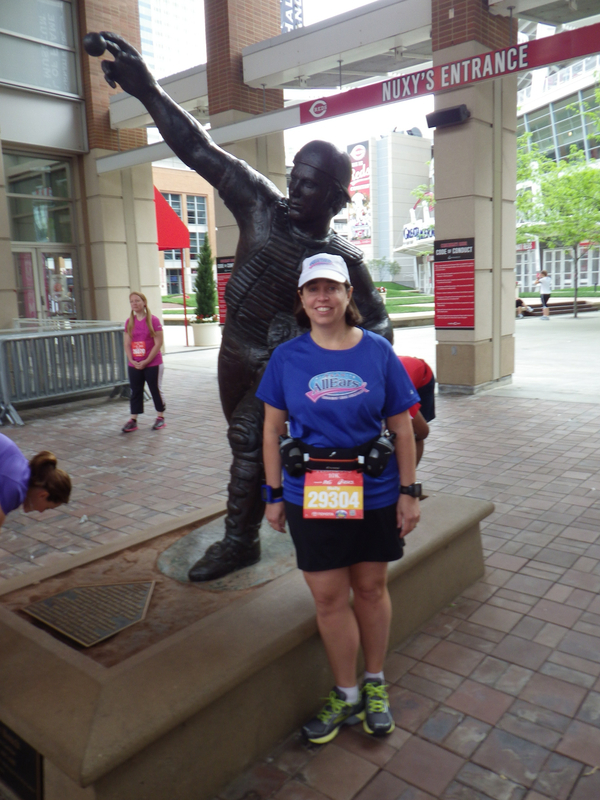 The downtown Cincy part of the course was nice. They saved all of Ohio's skeezy areas for Sunday's races. 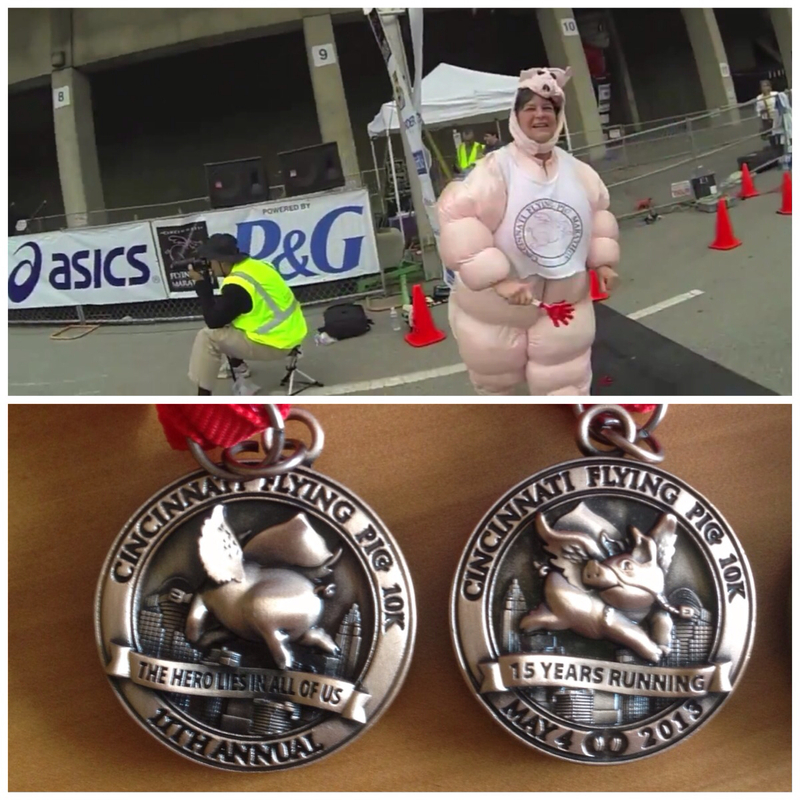 We were welcomed to the Finish Swine by a lady in a pig outfit. We got our medals (really cool and 2-sided), space blankets, and enough junk food to last a week. Cakes, chips, fruit snacks, peanut butter crackers, etc. They also had waters, bananas, and bagels. Nice spread for a 10K. 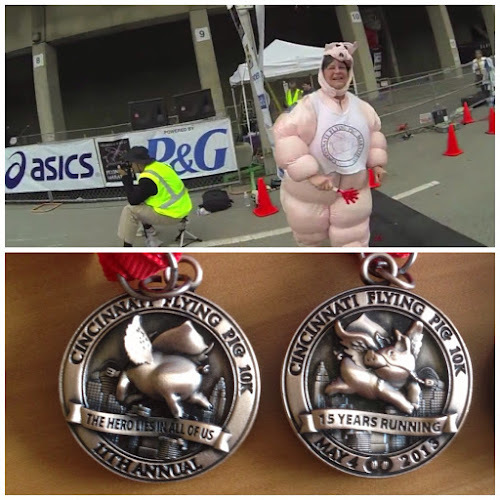 Here's our video from the 10K, followed by Eddie's video from both the 5K and10K.